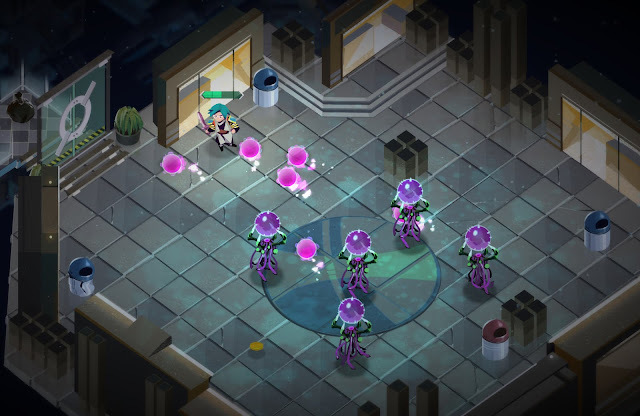 Home > News > Boyfriend Dungeon is slaying it on Kickstarter! I was giddy over the crowdfunding launch of Boyfriend Dungeon, and I clearly wasn't the only one: it was backed in the near-blink of an eye, and the stretch goals are being reached one after the other as well. With the game having raised nearly $200,000 CDN (nearly 300% of the initial goal), and just under two weeks left until the campaign ends, now seems like a great time to highlight what's gone on since its Kickstarter debut! In case you missed it, Boyfriend Dungeon is an upcoming dungeon-crawler where your weapons become humans that you can befriend and date. Yes, it's strange. And yes, it does sound awesome! First, and very very important: that cat was backed! Pocket the Cat, the campaign's first set goal reward, was backed. 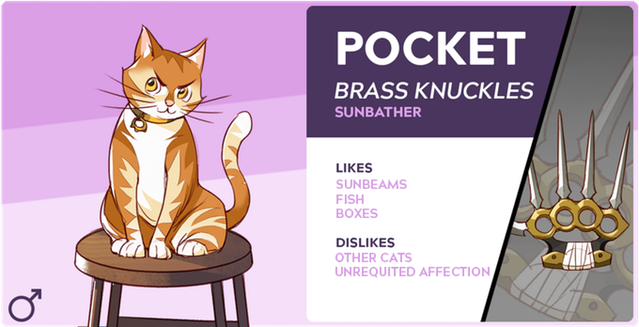 That means the game will contain the cat who turns into brass knuckles. You don't romantically date them, but you do get cat snuggles, and isn't that what matters the most? Speaking of romantically dating animals, we loved Hatoful Boyfriend - and its creator loves Boyfriend Dungeon! 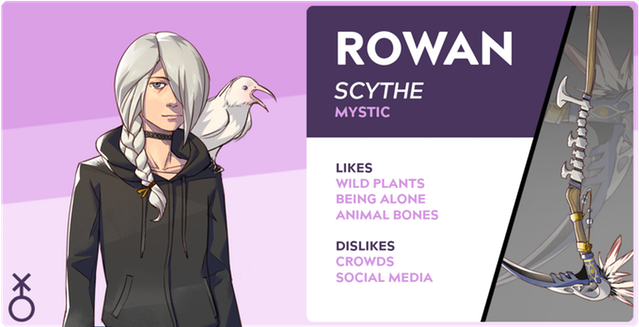 Hato Moa has designed Rowan Blair, an original character, as a dateable weapon for the game. She's the witch heir of fair Verona, where the story is set. When she's not in human form, you can use her as a scythe. Raven doesn't really do friends, minus her white raven. As a weapon, she's relatively slow but gives quite high damage. One of the stretch goals perhaps most impacting the game is transformation sequences - think Usagi Tsukino to Sailor Moon. All weapons will now have their very own magical transformation sequence, appearing at the most appropriate moments possible. The most recently funded stretch goal is for a Boyfriend Dungeon art book, with three categories of goodies contained within its pages. The first is concept art of the characters, enemies, and towns from art director Xin Ran Liu. Second, background illustrations and process sketches by Jessica Mao. Finally, secret lore and tips straight from Tanya, the game's designer. New tiers have been added for ebook and physical bundles containing art books. The developers have been bombarded with requests for more dateable female weapons, and they have absolutely listened to the plea. The next stretch goal is Leah, a dateable hammer or all things! She struggles to find her purpose in the world. 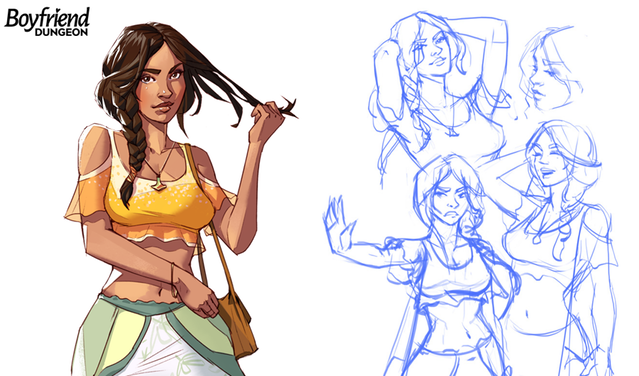 According to the Kickstarter page, she crushes enemies beneath her... "and she's maybe crushing you too, too ;)"